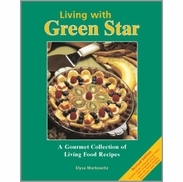 The Green Star 2000 comes with everything included with the Green Star 1000, plus an additional course screen for making puply juice and an accessory drip tray. 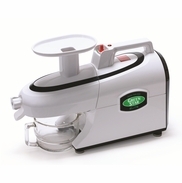 Green Star Juicers are reputably the world's best juice extractors and most efficient food processors. Using patented twin-gear technology superior to those of any competitor, Green Star juicers simply are the best. No need to look elsewhere. Easy to use, simple clean up, Green Star Juice Extractors and Food Processors are award-winning juice machines of unsurpassed quality. 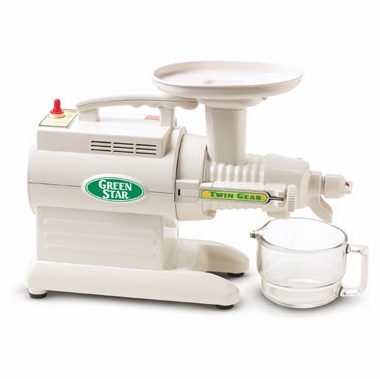 The Green Star GS-2000 Complete Juicer and Food Processor comes with all the parts of the GS-1000, plus the Coarse Screen with larger holes, Strainer, and Drip Tray juicing accessories. This is a great set for even more juicing options. It can also process whole foods, making favorites like almond and date pie crusts, pates from nuts and vegetables, sauces from a vast array of ingredients, baby foods, frozen fruit desserts and more. The choice is yours! Dimensions: 10" x 22.25" x 15.5"